Don’t let wet spots on your ceiling or streaks down your wall make your property look ugly and worth less money. 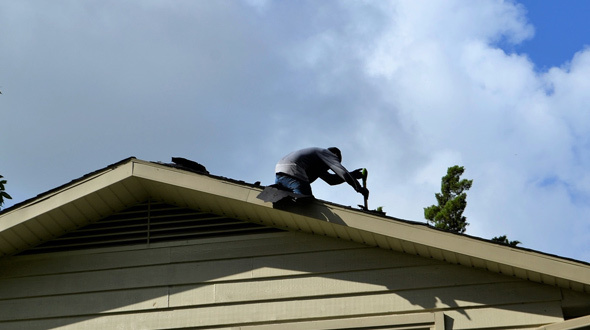 Your leaky roof is often times the result of a failure in the roofing system’s flashing. Without sufficient flashing, a roofing system cannot repel the elements, will ultimately fail and begin to leak. When installing a new roof or repairing a current one, it is essential that the flashing be compatible with the roofing system and be installed properly. atlantacommercialroofingcontractors.com examines the purpose, types, and application of flashing used in commercial roofing systems. 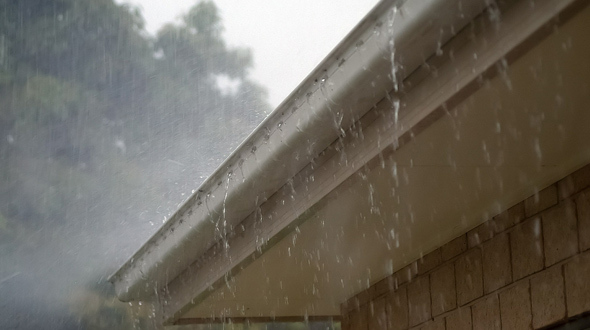 Flashing is a layer of waterproof material that keeps water from penetrating your roofing system at joints, vents, exhausts or appliance connection points. While caulk is used to fill small gaps around doors and windows, it has an entirely different purpose, and shouldn’t be confused with flashing. Water naturally runs downhill to the lowest point of gravity. For flashing to work correctly, all seams must be installed facing downhill. 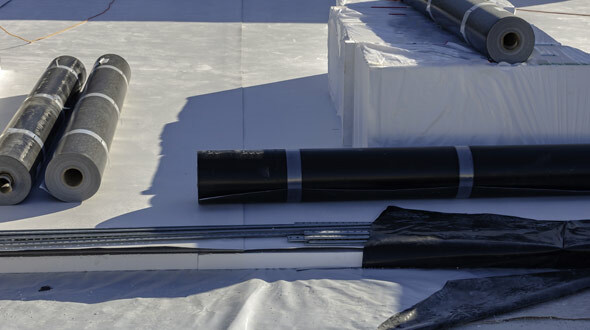 Properly installed, the upper edge of flashing should be covered or protected by tarpaper, TPO, or whichever membrane or material is used in the roofing system. 1 – The material won’t degrade from being in contact with other incompatible material. 2 – The material is impermeable to water. Plastic and Rubber – While primarily used as caulk, plastic and rubber are excellent water-repellants when applied as flashing. 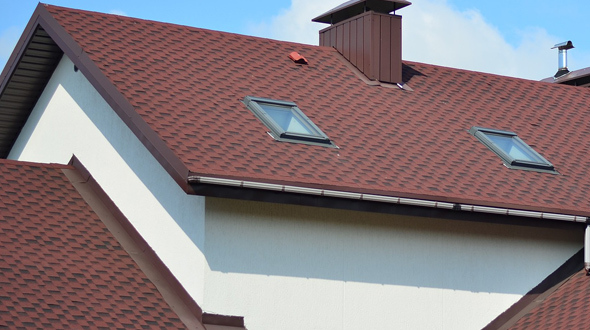 PVC and TPO – Both PVC and TPO are popular types of roofing systems, and the same material can be used as incredibly effective and durable flashing. Roofing Felt – Asphalt-saturated roofing felt can be used as flashing, but is not as durable as other options. Aluminum – Durable, easy to form, and somewhat inexpensive. When left in contact with alkaline material like concrete, or treated lumber, aluminum flashing will corrode. Galvanized Steel – Not as durable as other options, but it is very inexpensive. Copper and Lead-Coated Copper – More difficult to bend and form than aluminum, but much more durable. Copper flashing is typically used during the installation of solar panel piping, wiring and sensor connections. Lead – Because of its super-flexibility and durability, lead is a popular choice in the roofing industry (a favorite of masons for chimney flashing). There are potential health risks, but the use of lead flashing continues, and when properly installed can last for up to 200 years. While most flashing is sold in rolls that vary in thicknesses and can be cut, bent, and shaped at the job site. Pre-molded flashings are also available for standard-sized exhaust pipes, vents, and fittings. Ridge Flashing – This flashing is applied at the “peak” of a dually sloped roof. 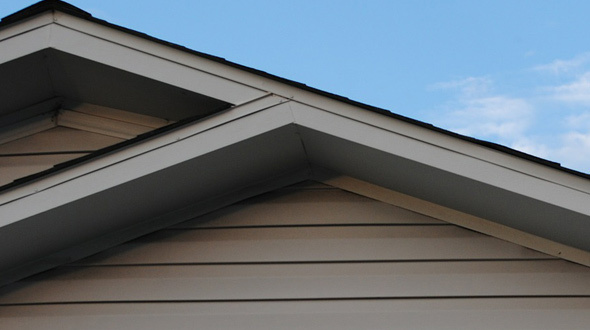 Bargeboard – This is the flashing along sloped roof edges. Wall Abutment – This is where roof edges meet walls. Corner Flashing – This flashing is used where walls meet, and it runs from roof to floor. Inverted Corner Flashing – This flashing is used when the corner of a structure meets a wall. Instead of wrapping around the corner as in “corner flashing,” it is applied to the structure and the wall in an “inverted corner” from roof to floor. Eaves Flashing – This flashing runs along the length of flat edges of a roofing system. Drip Cill Flashing – This is the flashing which runs along the lower perimeter (at the foundation). Valley Flashing – The point where two downward slopes meet is where valley flashing is applied. Step Flashing – Commonly used in place of wall abutments or chimney and skylight flashing (on slopes), step flashing is the downward overlapping alternate layering of roofing and flashing material. 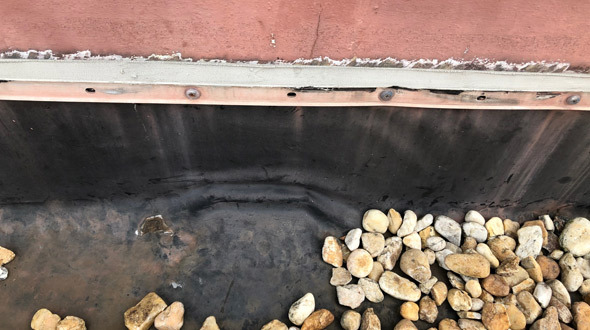 Saddle Flashing – This is the flashing used where joists meet walls or other support structures, wrapping around connection points to form a water-tight seal. Vent Pipe/Exhaust Flashing – This flashing provides a water-tight seal at the point where vent or exhaust pipes protrude through a roof. 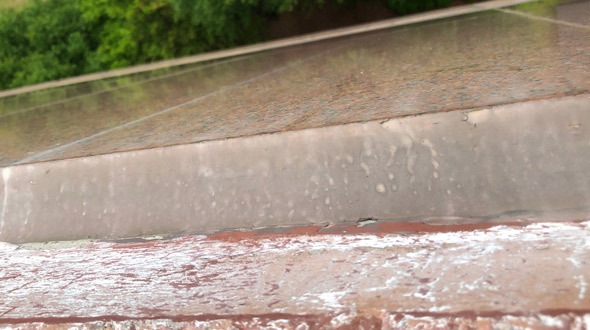 Cap Flashing – This flashing is usually composed of metal and is used to shield the upper edges of membrane base flashing along the top of a wall or column. Don’t let your building unnecessarily look run-down and develop water damage from preventable water infiltration and leaks. Keeping the elements outside is what a successful roofing system does, and it dramatically relies on properly applied flashing. In this article, you discovered what roofing system flashing is, what it is used for, the different types, and its application. The use of the wrong flashing material on a roofing system may lead to leaks and its ultimate failure. Save money and avoid unexpected interruptions of your business by having the appropriate flashing material properly installed in your commercial roofing system. Is TPO the best flat roof system for your property? 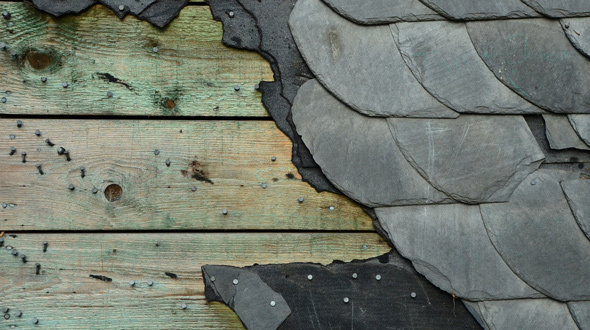 This question is frequently asked by property owners that need a new roof, and we have the answer. As a relative newcomer to the roofing materials industry, TPO roofing systems have gained extraordinary popularity and are being used throughout the United States. Due to its durability and cost efficiency, TPO should be considered when re-roofing or installing a new roofing system. atlantacommercialroofingcontractors.com takes an in-depth look at the definition, installation, warranty, cost, and problems associated with TPO roofing systems while answering some of the most frequently asked questions about it. TPO is Thermoplastic Polyolefin, and it is one of several single-ply roofing systems. The following will help you understand the composition, properties, and production of TPO membranes for both commercial and residential structures. • A TPO membrane may be produced by calendering with lamination (this is the process of combining materials at high heat and pressure by passing them through rollers), extrusion with lamination (a process to make long shapes with constant cross sections, similar to squeezing toothpaste from a tube), or through extrusion-coating techniques. • Sheet thickness is usually 40 mils to 100 mils. That’s about the thickness of a heavy duty trash bag. • Sheets are typically produced in widths ranging from 6 feet to 12 feet. • The composition of TPO sheets is a blend of polypropylene, ethylene propylene polymers, and polyester reinforcement. • Overlapping seams are sealed by heat welding which uses hot air. • The majority of TPO membranes are white but can come in a variety of colors. • TPO roofing is resistant to oils and chemicals carried by commercial exhaust vents. • TPO roofing material contains flame retardants and UV absorbing elements. • TPO roofing systems receive high wind ratings when properly installed. • TPO roofing has a life expectancy of about 30 years, however, only having been in use for three decades, its full potential lifespan is still being evaluated. As time passes, production of the system and its method of installation have naturally worked out the bugs, thus improving the product and increasing its longevity. The installation of a TPO roofing system, when done by an experienced roofing company, is fast, clean, and virtually nonintrusive. How your roofing system is installed will determine its ability to withstand the elements and ultimately its lifespan. • Proper roof slope for a efficient draining. • Strategic installation and fastening of insulation (when used) to deter bulging or sagging. • Proper application of adhesives. 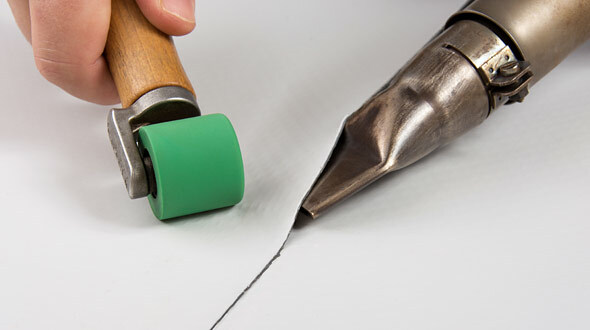 • Proper use of a seam welder (to prevent future leaks in the seams). • All welds checked using a seam probe. 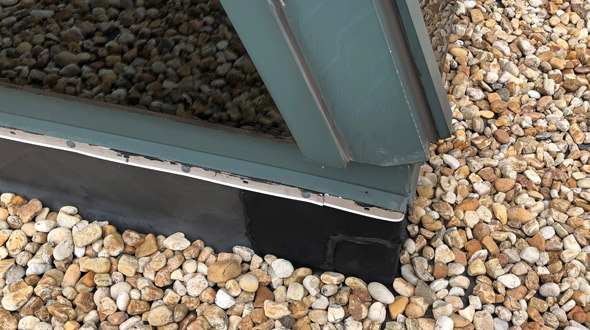 • Drip edge seamlessly connected around the perimeter of the roof. Manufacturer’s Warranty – This warranty covers manufacturing defects in the material used for your roofing system. Once the installation is complete, your contractor should provide you with a warranty certificate. 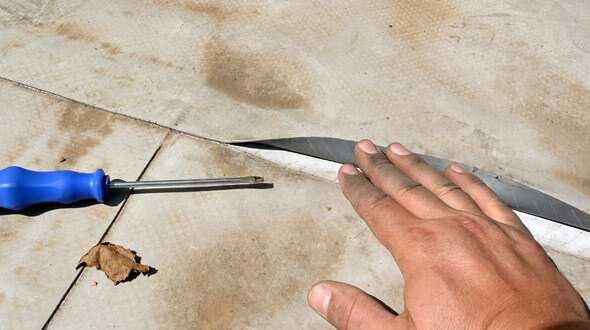 An example of material failure would be the separation of the lamination from the TPO membrane during hot weather. 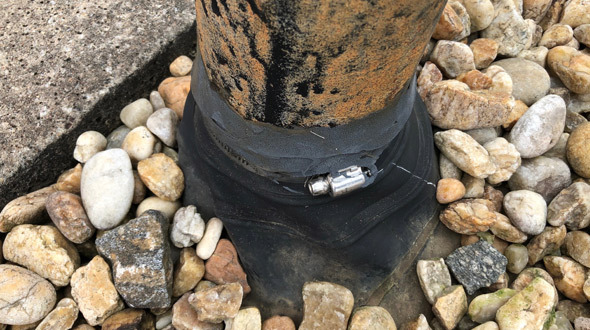 Unless it is determined to be a result of faulty installation, a claim should be made against the manufacturer’s warranty. 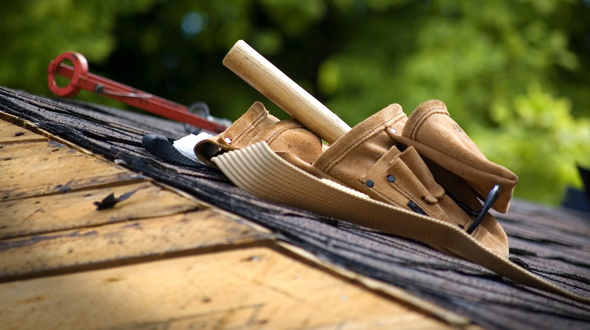 Contractor’s Warranty – This warranty covers the workmanship and installation of your roofing system. • A list of what items are covered. • What actions or situations would void the warranty. • When the warranty expires. The above installation and warranty information underscore the necessity to thoroughly vet contractors. Pricing any roofing system can be a daunting experience. 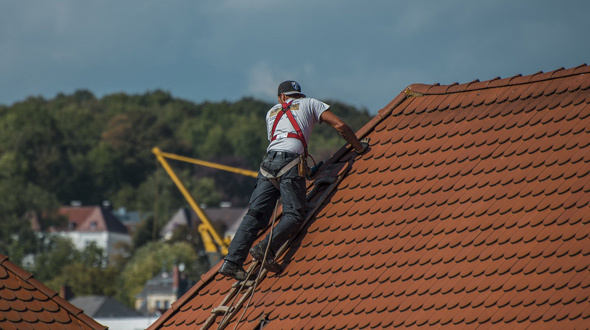 Often there is a significant disparity from one quote to the next, validating the need to collect a minimum of three bids from reputable roofing contractors. Tear-off costs can run between $100 and $200 per square. In some cases, the contractor will bundle this into material and installation pricing. 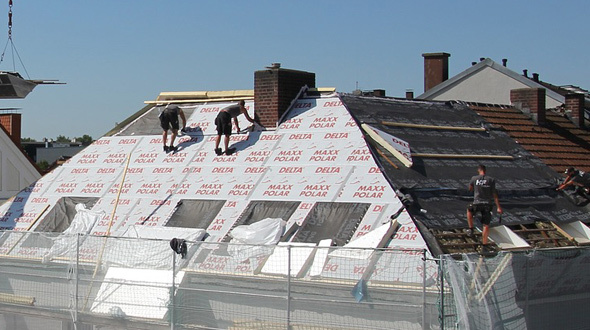 A tear-off is when the existing roofing system is completely removed to install a new system. Depending on the type of roofing system being installed and the condition of the existing roof, the new system may be installed over the existing one. TPO material will see a price range between $150 and $500 per square. TPO installation labor costs will range from $500 and $900 per square. Maintenance contract pricing varies from contractor to contractor. 1 square = 100 square feet. So as an example, the price range of the bids you receive, including tear-off, material, and installation for a 1,000 square foot roof may fall within $7,500 to $16,000. Note: Across the industry, roofing installations are more expensive in the spring and summer time. To save money, try to schedule an installation for the off-peak season (early spring and fall). The majority of problems that arise with TPO roofing systems occur as a result of poor installation. • Insulation (under the membrane) not installed correctly and is causing bulges. • Seam separation from improper welding, allowing water penetration. • Torn membrane from debris striking the roof. For proper installation, it is essential to hire a roofing company that has extensive training and experience with TPO roofing systems. Question: Is TPO better than EPDM? Answer: Inconclusive. Depending on which aspect of the two roofing systems you wish to compare, and your roofing requirements, the answer may vary. 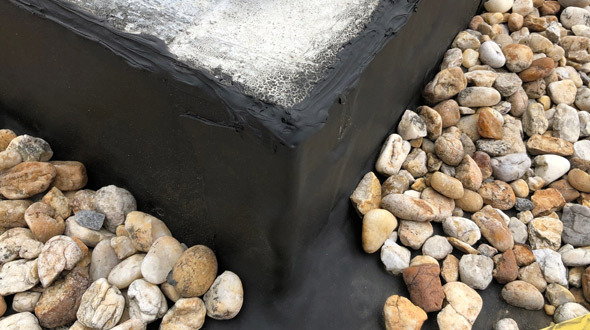 While EPDM and TPO offer very similar benefits, TPO with its stronger and more durable seams (adhered to the roof), make it a desirable option. Question: What is the difference between PVC and TPO? Answer: Visually, the two roofing systems are virtually identical. 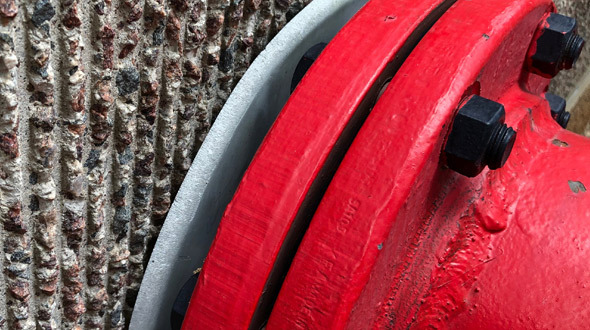 Performance-based, the two systems produce similar results until puncture resistance, environmental impact, and eventual “known” problems are taken into account. In this scenario, the TPO system is a superior option. However, when price and warranty terms are considered, PVC edges out TPO. Both are great products that check different boxes and satisfy different needs. Question: How long has TPO roofing been around? Question: What colors does TPO roofing come in? Answer: Standard colors are white, tan, and grey. However, TPO can be found in different shades of grey, brown, green, red, tan, and gold. Question: Is TPO roofing flammable? Answer: Yes. However, as with all roofing systems, TPO roofing is required to meet FM and UL fire ratings. A distinct difference and advantage of TPO is that it does not release dioxins when burned and contains flame retardants. When being presented options and quotes for new roofing systems, property owners frequently ask “What is TPO?” As you’ve discovered, it’s one of the most popular thermoplastic roof membranes in today’s roofing industry. In this article, you were presented valuable information about the installation, warranty, cost, life expectancy, problems associated with TPO roofing systems, and answers to frequently asked questions. By asking the right questions and being informed when selecting a roofing system and the contractor to install it, you will benefit from getting the best roofing solution and warranty at the best available price. What if it were possible that a roof can last up to 70 years? 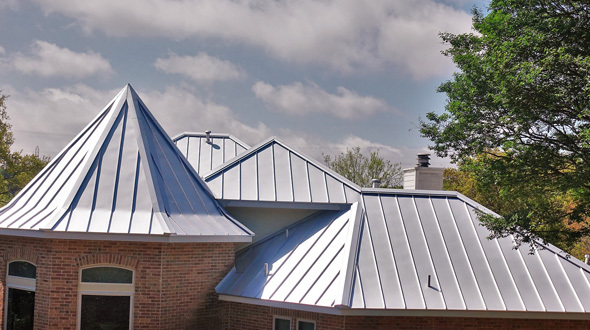 Whether for a school, apartment building, church, commercial building, or even your home, metal roofing systems will consistently outperform other options as related to its lifespan. 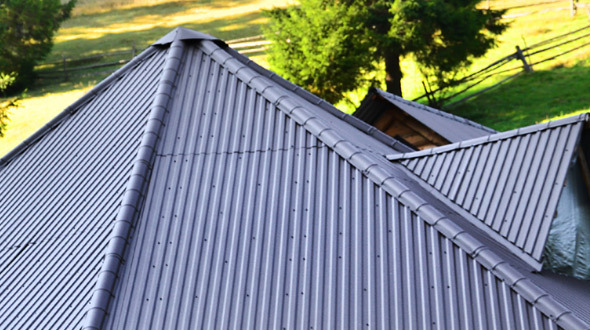 The advantages of metal roofing far outweigh the disadvantages. When the time comes to replace your roof, consider the benefits and getting a quote for a metal roofing system. 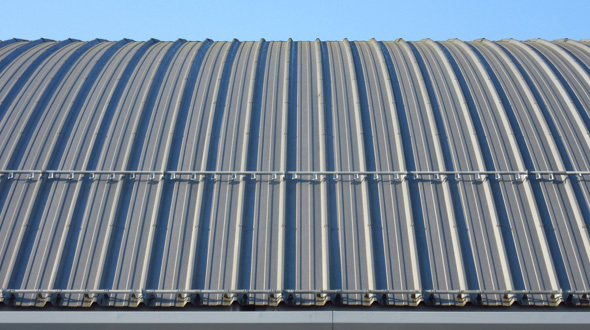 Atlanta Commercial Roofing Contractors gathered the following list of advantages and disadvantages for metal roofing, and answers frequently asked questions about it. 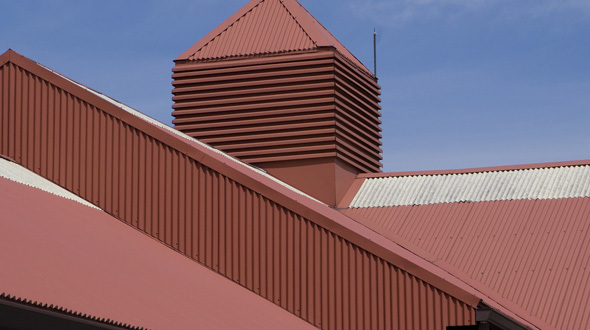 With such options like vertical seams, standing seams, snap lock systems, multiple designs, and a vast selection of colors to choose from, metal roofing has come a long way in the past few decades and has become a popular choice for both commercial and residential buildings. Durability – When installed and properly maintained, metal roofing can last as long as the structure it covers (40 to 70 years or more). It is also highly resistant to large volumes of rainwater, rot, mold, and mildew. A maintenance contract is always suggested, as the better maintained a roof is, the longer it will last and more durable it will be. Product Warranty – While warranties may vary, there are companies that will cover a metal roof installation for up to 50 years. Fire Resistance – Metal roofing materials are noncombustible and resist approaching fire. Energy Efficient – As the sun’s radiant heat is reflected by metal roofing, less energy is required for air conditioning. 100% Recyclable – While other roofing materials cannot be recycled, all metal roofing material is completely recyclable. 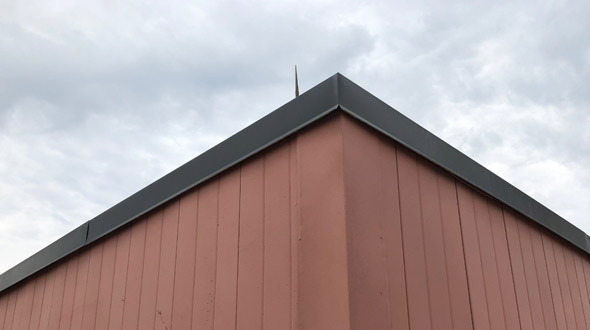 Adaptable – Since metal roofing can come in virtually any shape and boasts a wide color selection, it can be installed to meet the aesthetic needs of any neighborhood or region. Paint Finishing – With many manufacturers, the finish on your metal roof is typically covered by a 30-year limited warranty. Roof Pitch – Metal roofing materials can be installed at a minimal roof pitch without failing or leaking. Generally, you’ll find a 3-by-12 standard in which for each foot, the roof rises 3 inches. Roof Weight – The weight of the roof to be installed can have a significant impact on the engineering of the support structure below it. 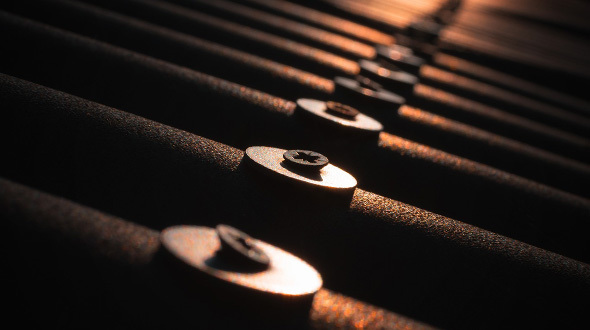 Metal roofing weighs on average one-tenth of materials such as conventional or concrete tiles. Roofing Installation Time – Because metal roofing materials come in multiple large sections or panels, an experienced contractor can install the roof quickly and easily. Wind and Hail – Metal roofing is an excellent choice in regions that experience high winds and frequent hail storms. Many of these regions will have a gauge (thickness/weight) requirement for the installation of a metal roofing system. Unexposed Seams – Due to the way metal roofing material interlocks, the seams are often not exposed. This dramatically reduces the chance of moisture reaching the roof deck, and likewise reduces the possibility of having leaks. Price – Considered the most significant disadvantage, metal roofing can cost from $200 – $600 per 100sq. feet, which is the cost of other premium roofing materials. This disadvantage is lessened by the durability and longevity of metal roofing. As previously stated, a well installed and maintained metal roofing system can last as long as the structure below it. Denting – The necessity to go to the roof may come about to service chimneys, satellite dishes, HVAC units, generators, or vent pipes. Depending on how the roof was installed and the support structure below it, the plumber or technician may wind up denting your roof. Likewise, if the gauge of the roofing is too low in a region prone to hail storms, severe denting and damage may occur during violent hail storms. Noise – It’s metal, and like the drum in a band, it can get loud during rain or hail storms. However, the use of plywood sheathing and sound-reducing insulation during installation is an effective method of noise control. Poor Installation/Leaks – If a metal roofing system begins to leak, it is likely that the installation was not performed correctly. Exposed fasteners, screws driven in the wrong place, and the use of improper washers to seal them can all result in leaks. Manufacturer’s instructions need to be followed precisely by experienced and professional roofing companies. Repairs – Since metal roofing is installed in large panels, replacing damaged panels or parts can be more difficult than doing so with other roofing systems. Lightning Strikes – There is an urban myth which states that metal roofs are more prone to lightning strikes than other types of roofing. While this assumption is inaccurate, for your peace of mind, a lightning protection company can easily ground your metal roof. Expansion and Contraction – Metal reacts to the hot and cold temperatures. When it gets hot, metal expands, and when it gets cold, it contracts. This “see-saw” effect can cause fasteners to come loose and eventually fail. However, newer materials are taking this movement into account and using fastening systems which accommodate it. Insulation – Unless the roofing system is installed over an insulating material, metal roofing offers very little value as an insulator. Fire – As stated in “advantages,” Metal roofing is excellent at resisting approaching fires. The same cannot be said for fires that start within the structure though. Firemen sometimes have to cut through a roof to effectively extinguish a fire. With metal roofing, this process is much more difficult and time-consuming in a situation where time is of the utmost importance. Q: Do Metal Roofs Need Maintenance? A: Yes – All roofing systems need maintenance. Metal roofing systems, however, do not require maintenance as often as other roofing systems. Periodic inspections can be made to determine the need for any repairs or maintenance. Q: Are Metal Roofs Noisy? A: No – When installed with strong sheathing and noise resistant insulation, metal roofing systems can reduce noises from rain, hail, etc. much better than other roofing systems. Q: What Is The Best Color Of Metal Roof For Energy Savings? A: Light colored roofing systems reflect more of the sun’s heat than darker colors. In fact, a light colored roof can be anywhere from 10 – 50 degrees cooler than a dark one. Q: Are Metal Roofs More Energy Efficient? A: Yes – In the summer months, they reflect the heat making it easier to cool the structure. 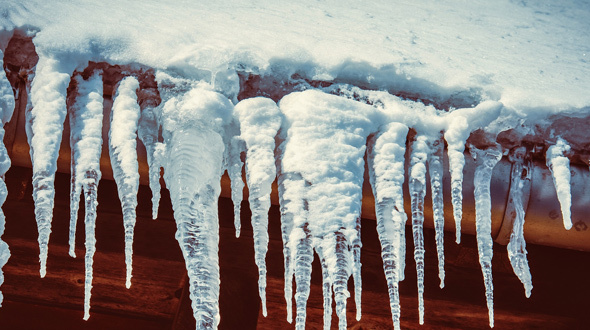 During winter months, these roofing systems (when installed properly) provide excellent insulating properties. Q: Can You Install A Metal Roof On A Flat Roof? A: Yes – Metal is one of the most widely used materials for flat roof systems. Q: What Is The Minimum Pitch For A Corrugated Metal Roof? A: 5 degrees. Below this number, the roofing system begins to present severe limitations. Manufacturers will typically not provide any guarantees when the slope runs below 5 degrees. Schools, churches, apartment buildings, commercial and industrial structures all need a durable and lasting roofing system. Incredibly, metal roofing can deliver up to 70 years of protection to your building. 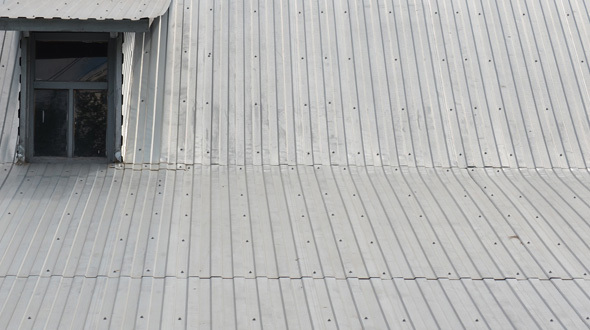 In this article, you’ve discovered the advantages and disadvantages of installing a metal roofing system, the importance of a maintenance contract, and found answers to common questions about metal roofing. A financial commitment of this proportion requires you to weigh advantages, disadvantages, cost, and return on investment. 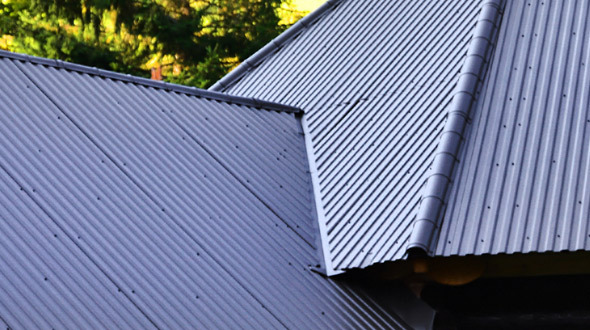 As metal roofing systems offer incredible advantages, including the ability to last the lifetime of the building, they can be one of the best investments for your new roof.